Sunrise Lodge01263 715779work01603 870304fax Self-cateringA perfect getaway just ten miles from Wells-next-the-Sea. Sunrise Lodge is all on one level and has been adapted to suit guests with limited mobility with the provision of wheelchair access to the bathroom/wet room with disabled shower facilities. Positioned in a quiet spot with views over the garden it is a wonderful base to explore the surrounding areas. Next to Sunrise Lodge is Sunnyside Lodge and Sunset Lodge which can be booked together offering flexibility for larger families and groups that can enjoy holidaying together but with independent living accommodation. 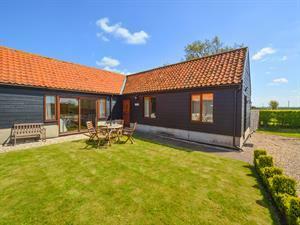 A perfect getaway just ten miles from Wells-next-the-Sea. Sunrise Lodge is all on one level and has been adapted to suit guests with limited mobility with the provision of wheelchair access to the bathroom/wet room with disabled shower facilities. Positioned in a quiet spot with views over the garden it is a wonderful base to explore the surrounding areas. Next to Sunrise Lodge is Sunnyside Lodge and Sunset Lodge which can be booked together offering flexibility for larger families and groups that can enjoy holidaying together but with independent living accommodation.